Beachbum Berry Remixed - A completely revised and updated anthology of the Grog Log and Intoxica!, featuring 40 newly discovered, previously unpublished vintage Tiki drink recipes from the 1930s through 1960s. Retro Luau Planning the Perfect Polynesian Party - Retro Luau combines the best of classic tropical drink and food recipes, party ideas, and vintage illustrations straight from the shores of Polynesia. Trader Vic's Tiki Party - Guide containing recipes of tropical cocktail drinks and party friendly recipes of finger food, entrees and desserts. Tiki Drinks - 50 of the best Tropical Tiki drink recipes written by Adam Rocke. 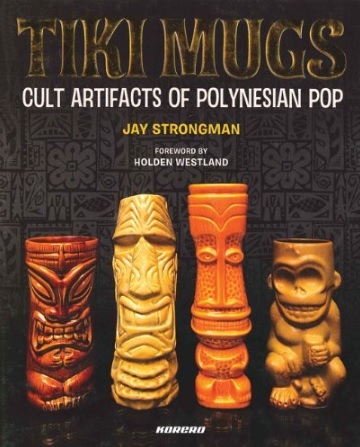 Tiki Road Trip Guide to Tiki Culture - Updated guide to tiki culture in North America and abroad lists, describes, and reviews every known tiki bar, Polynesian restaurant, and other site of interest to fans of Polynesian Pop. 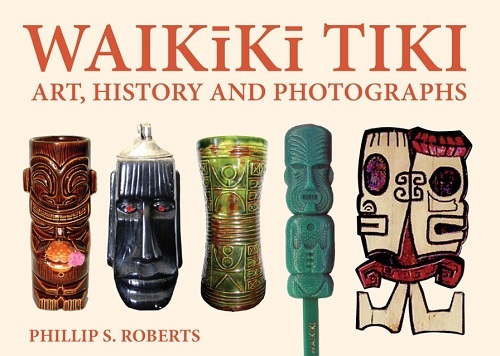 Tiki Quest - The latest book offering for Tiki fanatics written by Duke Carter who catalogues the collection of vintage Tiki he has put together through years of scouring thrift stores, flea markets, and junk shops.